For many people, the idea of any cannabis-infused food would probably be inconceivable. However, those who have come to learn the benefits of cannabis have many good things to say about it. As winter approaches, a lot of people feel bad that they will not be able to access some of their favorite seasonal fruits. This becomes a problem, especially if you love your recipes made in a certain way. 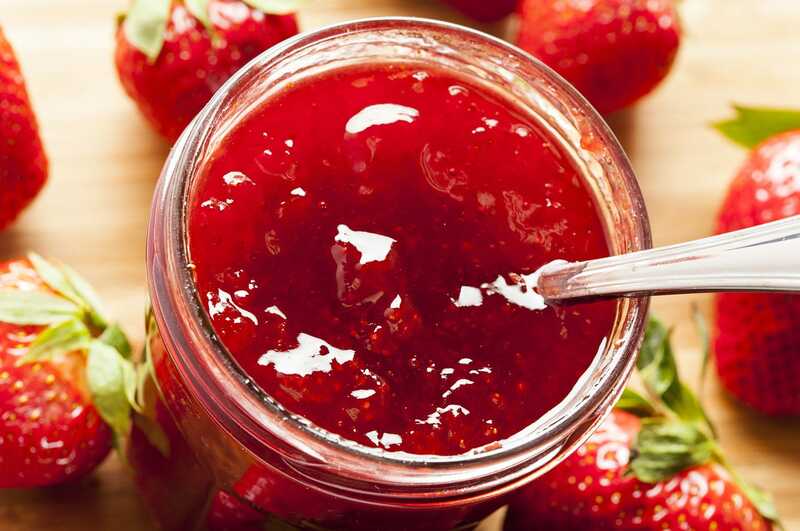 It’s easy to preserve some of your favorite fruits, especially the ones you use in jams, by infusing them with cannabis. Why is this a good idea? You will not just be preserving your favorite fruit jam, you will also have it infused with the benefits of cannabis, which make it an amazing combination. One of the benefits of using cannabis to preserve recipes is that it can work with virtually any fruit, which makes your work easier. With your preservation, you can make cakes, biscuits, waffles, scones or anything else you love during the winter with ease. Put the cannabis into the pantyhose, making sure it’s airtight and then close it firmly. Put the pantyhose into the covered pot, then turn up the heat until it simmers. Reduce the heat, cover the pot and then allow it to simmer for up to 5 hours. Leave it to cool down for 24 hours. Remove the pantyhose and then filter the excess honey and discard the rest. What you have is the perfect cannabis-infused honey. Mix the lemon juice and sugar in a saucepan and then heat it on the low heat setting. Be very careful and attentive when doing this, to know whether the heat is too high or not. If it turns brown, the heat is too high. The idea here is to simmer the mix just long enough for it to make syrup. To make the result even, keep stirring until all the sugar has fully dissolved. This process should take 10-15 minutes. Add the fruit into the mixture, stirring to break the fruit down faster. Allow the fruit mix to cook evenly for up to 20 minutes. You can also let it cook longer in case you want it to be smoother. For a chunky outcome, less time would be preferable. Insert half of the canna-honey into each of the mason jars. Evenly distribute the contents in the saucepan in the mason jars, and then stir to make sure the c-honey mixes well. Let the jam cool down, then you can store and use it whichever way you want, whenever. This is a very simple process, and you can use it with virtually any fruit jam you want. Previous PostPrevious Can Cannabis Be Used to Aid Sleep?